While Indiana is typically known for its corn, tenderloin, and the Indy 500, the state also has some unique antique shops scattered throughout. What better way to decorate your home than with treasures discovered at one of Indiana’s excellent antique stores? 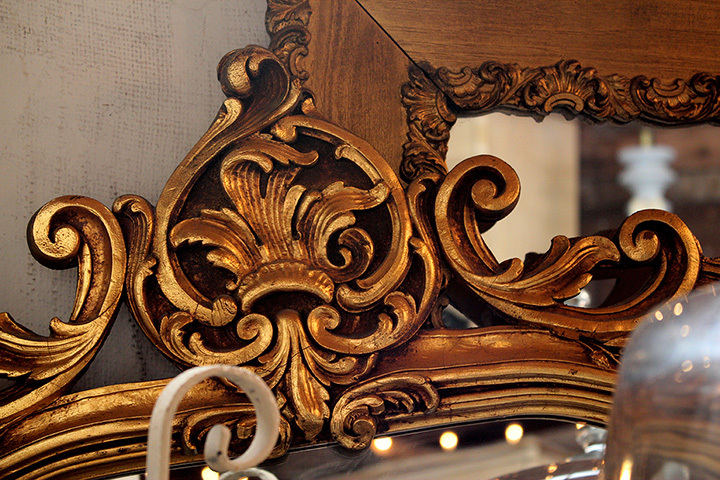 No matter your personal style or taste, you are bound to find something after visiting these top 10 antique stores in Indiana! Downtown Main Street in Kirklin is a hidden treasure trove. Home to dozens of antique stores, this cozy strip has a little something for everyone. At 3 Stray Cats owner Gabby Elliot has the best of the best in 1950s and 60s décor, including some retro TVs from back in the day. If you are in the market for a little inspiration and a cute, inexpensive handbag, check out Mimi’s Place where owner Cecilia Stevens sees her dream of having her own vintage store become a reality, day after day. Located in the heart of downtown Noblesville, the Noblesville Antique Mall is a definite must see for military enthusiasts, vinyl fanatics, and comic collectors alike. If you are into photography, be sure to check out their amazing collection of old style cameras! A former crematory, this beautiful and historical building boasts three floors of unique antiques to be found. Be sure to say a warm hello to Amanda and thank her for her welcoming attitude! Open seven days a week, the Carmel Old Town Antique Mall is one of a kind. Located in the heart of downtown Carmel on Main Street, it provides customers with a unique experience when shopping for antiques. Where else can you shop for antiques AND get a complimentary cup of coffee or tea? Owners Roman and Linda make it a point to make their customers and dealers feel at home while providing five-star quality customer service. If you like a bit history to go along with antiquing (and what antique lover doesn’t), check out the Shoup House in Battle Ground, Indiana. The Shoup House is one of a kind in that the house was built in 1860 on part of a land grant given to John Tipton for his services in the Battle of Tippecanoe. A beautiful and historic home combined with quality, one of a kind antiques, the Shoup House is one not to be missed! Near and dear to my heart is the Original Treasure Mart in Kokomo. Owned and operated since 1975, the Original Treasure Mart offers over 80,000 square-feet and three floors of vintage antiques. It offers thousands of items ranging from modern to primitive, eclectic and eccentric, and is one of the best antique stores in Kokomo. The Back Through Time Antique Mall in Rossville, Indiana, really feels like taking a trip back through time. This former hamburger place is now home to a one of kind antique store. Whether it’s vintage clothing, costume jewelry, or an incredible selection of one of a kind hats, this antique mall has a little something for everyone. Sometimes small towns really do have the best surprises. When visiting small town Tipton, Indiana, take a trip down The Side Street (also known as West Jefferson) and prepare to be captivated. From Memory Lane Antiques, Gathered Finds in Tipton, or Cross the Street Antiques, there is no shortage of quality antiques to be found here. With over 17,000 square-feet of space and over 50 vendors, it’s not a wonder Jake’s Antiques was voted best place to buy antiques. Jake’s offer a bit of old and new, from furniture to kitchen ware, tables and more! Located in the heart of downtown Greensburg, the Magnolia Mercantile is the quintessential small town antique store but with a huge selection to choose from. Whether its antiques, vintage, primitive or shabby chic, the Magnolia has such a diverse collection, one that will have you feeling nostalgic and excited to keep coming back! One of my favorite things about Front Porch Primitives is their selection of Swan Creek candles! One-hundred percent all natural and American made, and completely soot free as it’s made from 100 percent soybean wax. If you are looking for products to keep your antiques in mint condition, check out their selection of Howard Products! Front Porch Primitives is definitely one of a kind with beautiful antiques and excellent customer service.